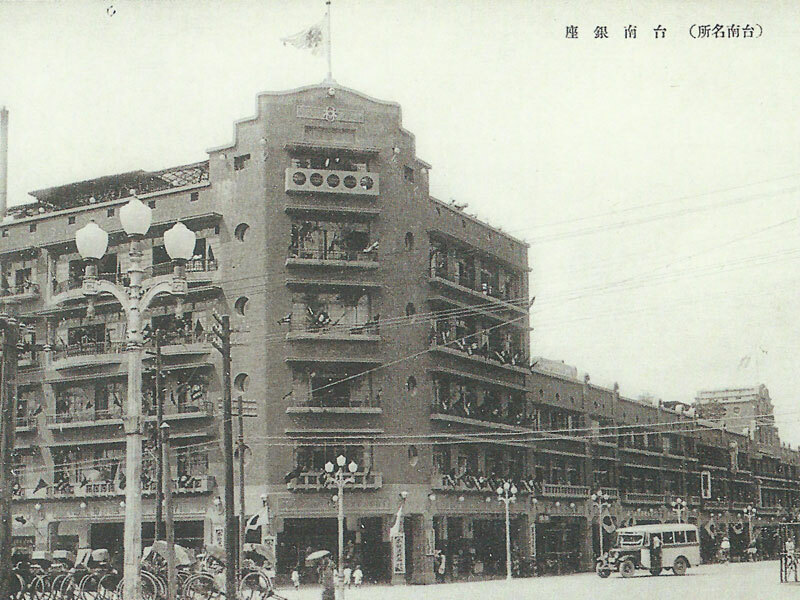 On December 5th, 1932, Hayashi Department Store opened and thus a modern age of Taiwanese culture began. The decade of 1930s was the start point of modern civilization in Taiwan. As the electric lamps, telephone, and water supply lines popularized, symbols of civilization such like the airplane and motor vehicles flooded into Taiwan. The cafés were becoming the fad of the day, as well as pop culture, movies, phonographs and jazz music. People´s mentality was opening up, and freewill dating was taking over arranged marriages, while dresses was replacing kimonos and Westernized education was popularizing. This was Taiwan in the 1930s. In 1932, Columbia Records Company released the eponymous theme song for a movie in Taiwanese "Peach Blossom Weeps Tears of Blood". In 1933, Teng Yu-hsien's popular song "Viva Tonal: The Dancing Age" helped to launch the first pop music singer Sun-sun (born Lau Tsing-hiong or Lau Chheng-hoing,1914-43) in Taiwan. In the same year Teng wrote and published three classic Taiwanese songs "Bang Chhun-Hong(Looking for the Spring Breeze)", "U ia hue(Flower in the Rainy Night)"and "Guat-ia Tshiu(Sadness in a Moony Night)". As the Pacific War broke out, the final waltz in the Dancing Age of Taiwanwas played. And so the Hayashi Department Store ended its brief yet splendid rendezvous with Tainan. Hayashi Department Store (ハヤシ百貨) was known to the Tainan people as "The Five-Stories-House"(Gō͘-chàn-lâu-á). It was founded by Japanese businessman Hayashi Houichi. Born in a village in the mountains of Yamaguchi Prefecture in Japan on February 6th, 1883, Hayashi lost his parent in his childhood, and was raised by his uncle and aunt. After their death, he grew up on his own means with his brothers and sisters. In 1902, at the tender age of 19, he left the village and entered the Sanyou Railway Company, and left the company 6 years later to start his own delivery company. Still at a tender age, Hayashi wrapped up his company in April, 1912 and came to Tainan the same year to try his luck. Fortunately, he found a mentor in Baba Tokujirou, the owner of Nichikichi Gofukuya, a traditional attire shop, who gave Hayashi a job as bookkeeper in the shop. Hayashi learned about the market, and with his vision and ability, he opened a little shop in Baba's residence, located at Oomiyachou Icchoume Nibannchi (Now the street corner across Quanmei Cinema). Two other shops followed and Hayashi made his first fortune. Investing in four other companies, Hayashi eventually accumulated enough capital to found Hayashi Department Store. The Department Store formally opened on December 5th., 1932, just days after the first department store in Taiwan, Kikumoto Department Store, also known as The Seventh Heaven, opened in Taipei City. Thus Hayashi Department Store became the second large department store in Taiwan, as well as the largest department store in southern Taiwan. Unfortunately, Hayashi himself fell ill days before, and passed away in Taipei on December 10th, 1932. Early January in 2013, Hayashi's second daughter-in-law, Hayashi Chieko and her family came from Japan to visit the Hayashi Department Store. This was the first time a Hayashi family's member entered the building after 80 years. 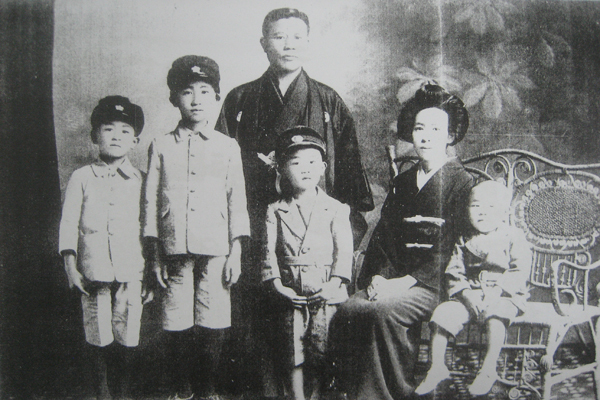 Hayashi Houichi and his wife Hayashi Toshi (neé Kodera Toshi) had four sons: Hayashi Ichirou, Hayashi Jirou, Hayashi Saburou and Kodera Shigeru. Pictured is the whole Hayashi family. After the WWII ended in the Pacific in 1945, Hayashi Department Store, damaged by air raids during the war, was transformed into offices by Taiwan Salt Factory and the "Salt Police". The top floor was used for anti-aircraft warfare. In 1977, the Salt Police was transformed into the Third Special Police Corps, and the building was mostly occupied by Taiwan Salt Company, which eventually moved its office to the current Jiankang Road site. Only until 1998 Hayashi Department Store was classified as a Municipal Heritage Site, and the ownership was transferred to the Tainan City Government. Restoration was completed in 2013. After the restoration was completed in 2013, the Cultural Affairs Bureau of Tainan City Government launched a bid for outsourcing of the management right and after an open bidding selection, Focus (Koche Development Company) won the bid. After 81 years, Hayashi Department Store will welcome a renaissance as Tainan Cultural Creative Department Store, becoming a window towards a New Modern Age in Tainan, and telling new stories of a newborn sprout of spring. So the New Life Movement has begun in Tainan.